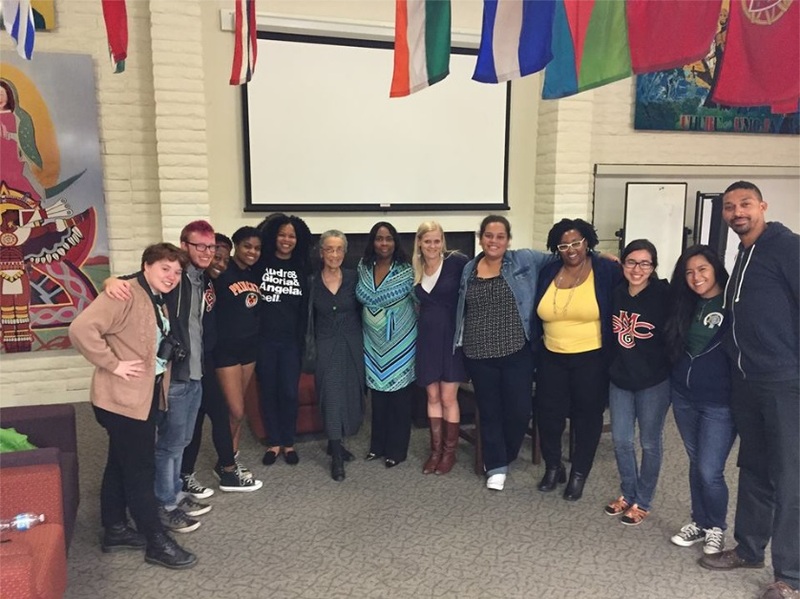 The WRC was honered to have an engaging intergenerational discussion of gender and its involvement in the #BlackLivesMatter movement. 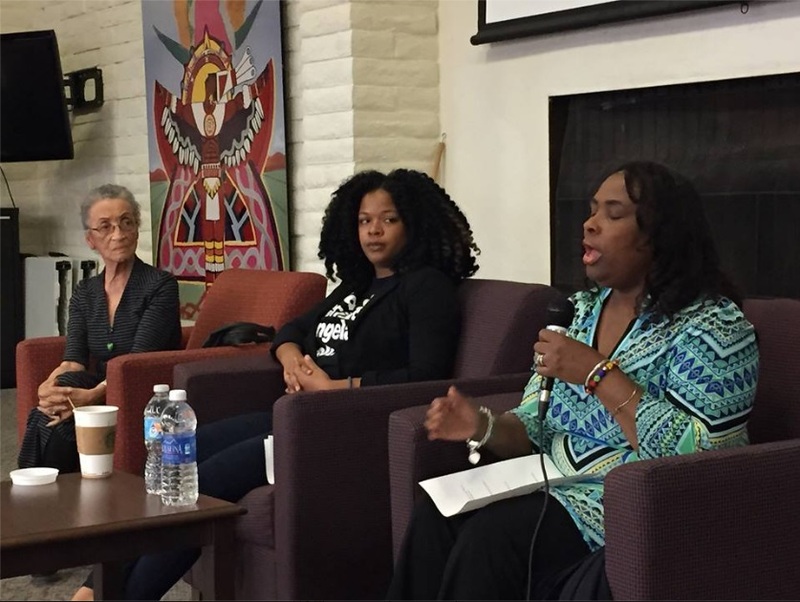 Our three guest speakers were Wanda Johnson, an activist speaker and the mother of Oscar Grant, Betty Reid Soskin, a lifelong civil rights activist and Park Ranger at Rosie the Riveter State Park, and Amber Butts, an SMC alum and the founder of The Lounge. 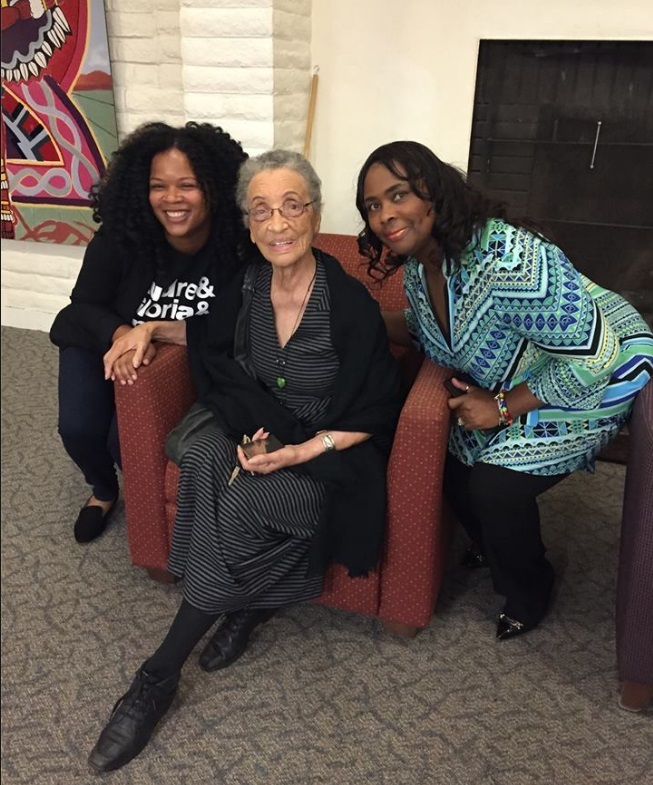 Left to right: Betty Reid Soskin, Amber Butts, Wanda Johnson.